A relationship spanning over a decade delivering 360 marketing support & solutions across multidiscipline briefs. Heathrow & Chaos engage on marketing challenges across all pillars of activity, from refreshing their brand, creating engaging internal comms campaigns to updating the security uniforms. Chaos undertook the rebranding of Heathrow following the change of ownership from BAA. This brand refresh cemented their position as the UK's global hub airport. 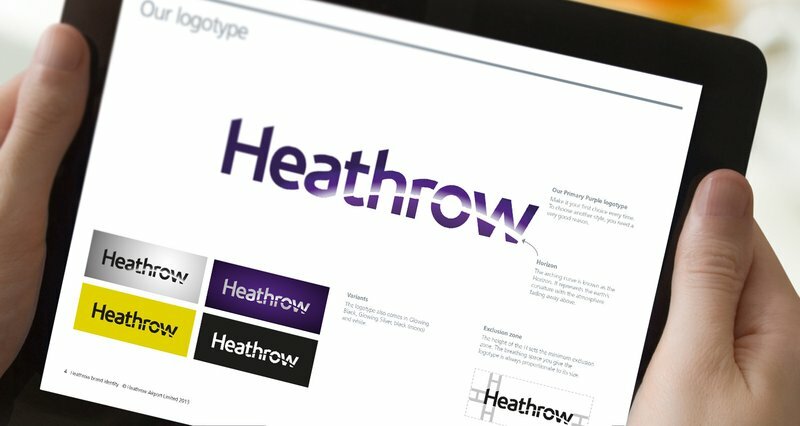 Chaos introduced dynamic branding aligned with Heathrow's desire to be a forward-thinking airport, which can mean so many things to different audiences. 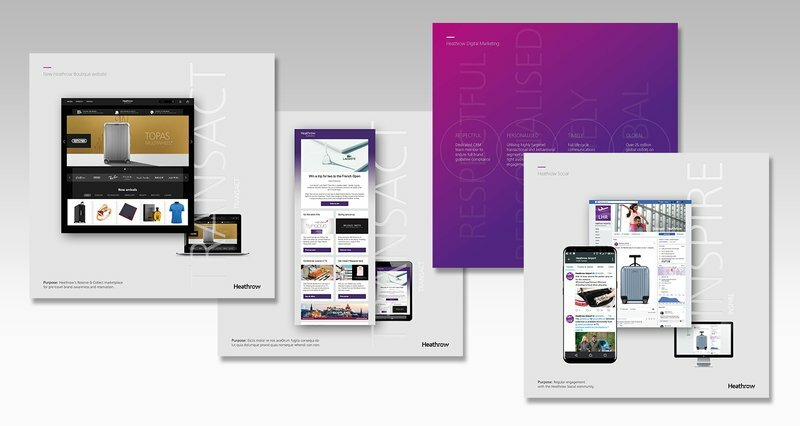 As part of their new online and offline brand guidelines, Chaos also aligned Heathrow’s complex sub-brand architecture into a cohesive structure, creating a succinct brand hierarchy to simplify marketing comms for their multiple audiences. The inclusion of Tim Peake marks the latest character in Heathrow's iconic Welcome campaign. 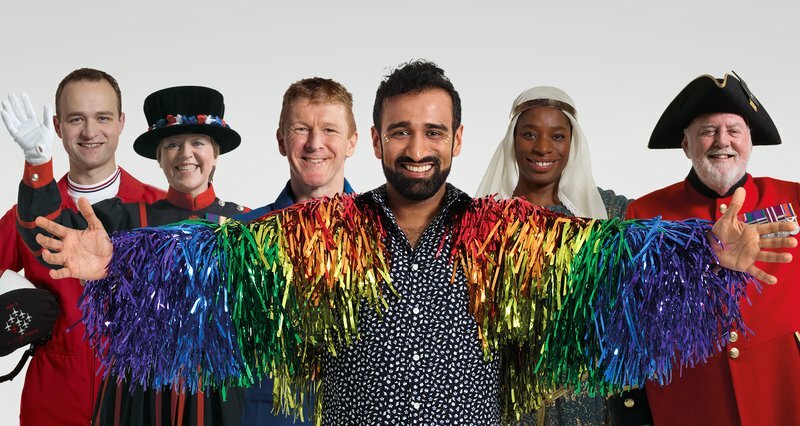 The original Welcome campaign was started in 2010 as a way for everyday Britons to welcome visitors to the UK with open arms. The campaign was extended later to incorporate more everyday, recognisable, national figures. Highly visual and engaging animation across Heathrow's biggest media screens. Heathrow required an engaging way to get across the message that there is a wide range of shopping available before security. Chaos created the "to" concept to show the broad array of shopping that was available without having to go through security. Moving video was sourced to bring the towers to life and get the message across quickly to busy passengers. A brand new Mr. Men character, Mr. Adventure has been launched at Heathrow. The purpose of Mr. Adventure is to bring the airport experience to life for the youngest passengers and inject some family fun. Heathrow appointed Chaos to design various Mr. Adventure and friends themed assets; including quarterly events guides, stickers, monoliths, web banner, various event assets, floor stickers and so on. All these assets were displayed and available at each Terminal. 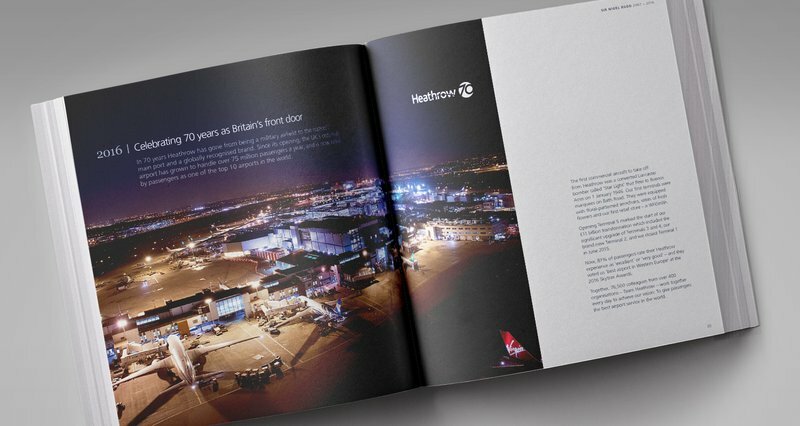 As Sir Nigel Rudd stepped down as chairman of Heathrow, Chaos was tasked to create a beautiful publication showcasing all of Heathrow’s milestones and highlights during his time, which included the Olympics (host airport) and the new Terminal 2 (Queen's building). 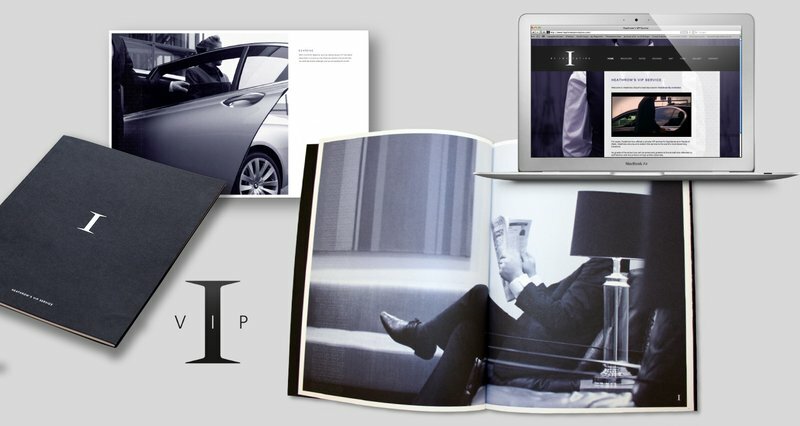 We designed a large square coffee table style book, which had an embossed peltouch heavy cover with silver foiling, and full bleed impactful imagery with minimal copy on the inside, printed on thick stock. This achieved a very high-end luxurious look. Heathrow wanted to inform staff, travel operators and airlines about their investment in the new £900 million automated baggage system at Terminal 5, following the initial issues experienced. To make it engaging, Chaos characterised the bags on their journey using animation. We then scripted and storyboarded a seven minute video bringing the baggage journey to life. The media rich web content was also integrated into an arresting brochure shaped as baggage. Extremely well received by Heathrow staff and airlines, the animation also proved a hit on YouTube. Heathrow VIP Services offers premium passengers the same airport experience once afforded only to royalty and heads of state. 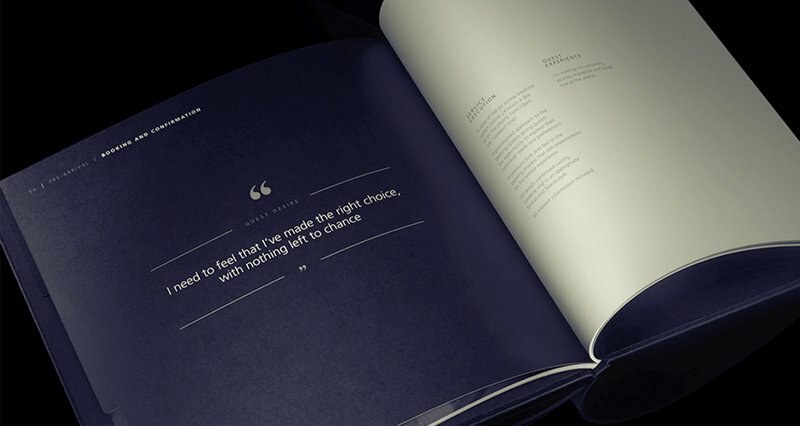 Chaos were briefed to convey the exclusivity, privacy and effortlessness of that experience in print and on screen, across the customer journey. Chaos created a minimalist, elite branding with stylish black and white imagery and minimal copy, reflecting the sophisticated simplicity of the service. Looking to re-fresh and re-energise their WorldPoints customer loyalty scheme, Heathrow selected Chaos to help it really take off. 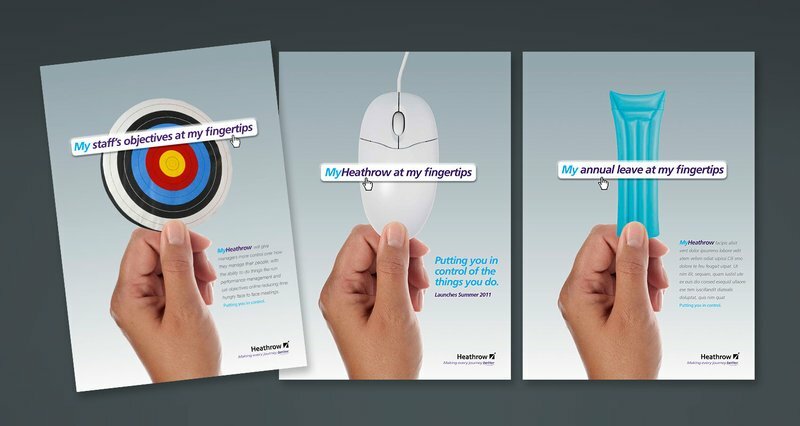 To help make the WorldPoints customer loyalty programme more enticing, Heathrow engaged our creative services. We investigated customer feedback and preferences through research groups. We created a new brand name, look and feel. We devised and managed the loyalty programme in all aspects from database segmentation to customer promotions. We even kick-started the launch with high impact acquisition, retention and conversion campaigns. 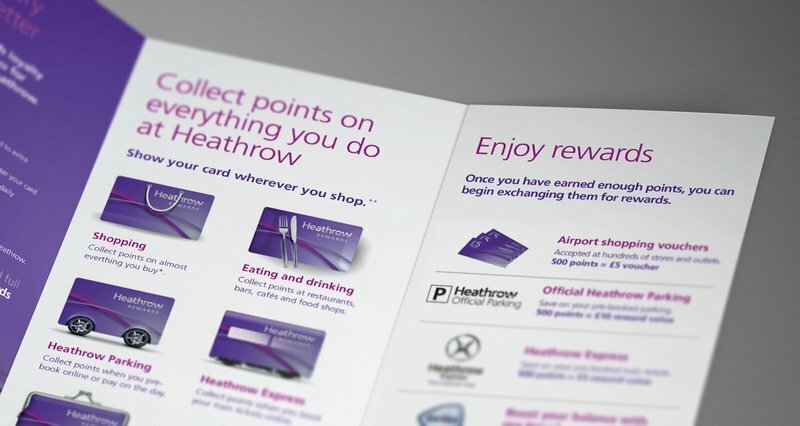 Since its take off in June, the new look Heathrow Rewards has proved a big hit, with a significant increase in customers. Developing an internal comms scheme that was completely employee-centric was at the epicentre of the brief for this internal change. Managing how the process was undertaken and communicated was paramount to its engagement and success for thousands of staff on and off airport. The initiative supports all aspects of employees roles, such as MyPay right through to MySchedule. Following a phased role out, all staff are now aligned and can access work information within the office or remotely. 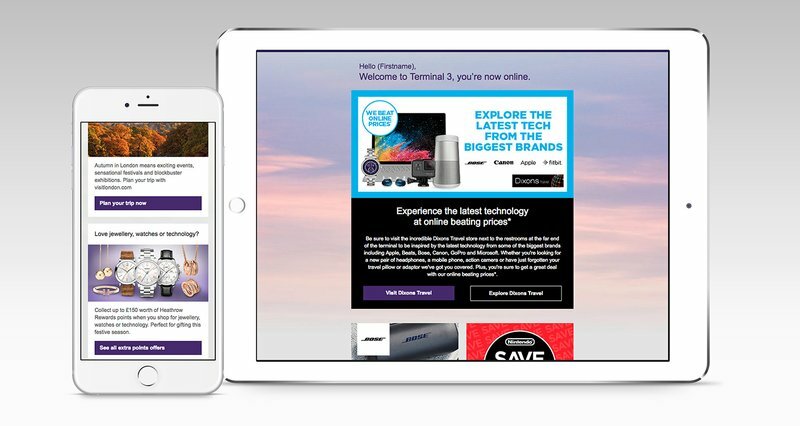 As well as rebranding Heathrow, Chaos have been engaged over many years to overhaul their digital strategy and implementation from websites to solus, trigger and eNewsletter CRM in order to gain better engagement and consumer traction. Chaos has been the retained CRM agency and dramatically built up the number of email communications over the years. From starting with bi-monthly newsletters and a small amount of ad-hoc solus emails, work volume has largely grown and now includes a variety of trigger journeys as well as strategic consultation on campaigns, integration with the Heathrow Rewards program and website behaviour.